There are a lot of designers out there, and it’s important to choose the right fit. We recommend reviewing portfolios and determining if the designer(s) have the ability to develop the aesthetic you want. If nothing “wows” you, keep looking. During the research process, it’s a good idea to gather your own inspiration and reference images. Try creating a Pinterest board and start pinning logos, colors, and design elements that will inspire the look and feel of your brand. Share it with your designer and ask them to pin their inspirations too. Clients frequently offer us words to describe their aesthetic (such as “classic” or “modern”), but those descriptors mean different things to different people. Concrete examples help ensure that you and your designer are on the same page. Many organizations thrive on collaboration and inclusivity, including ours. It seems reasonable that a company or non-profit would want its team members to be part of the branding process. Here’s the problem: art is subjective and not everyone is an expert in marketing & design. When a recent client told us that they were getting input from the finance and maintenance departments on their logo design, we knew it was time to revisit our best practices guidelines. To establish a process that will be effective (and relatively painless), choose a small team of stakeholders. We’re talking five people, tops. Then, select one person from your team to be the point of contact for the design process. This will offer enough room to bounce ideas around while remaining focused and keeping your communications streamlined. This is an important one. People often think logo = brand. 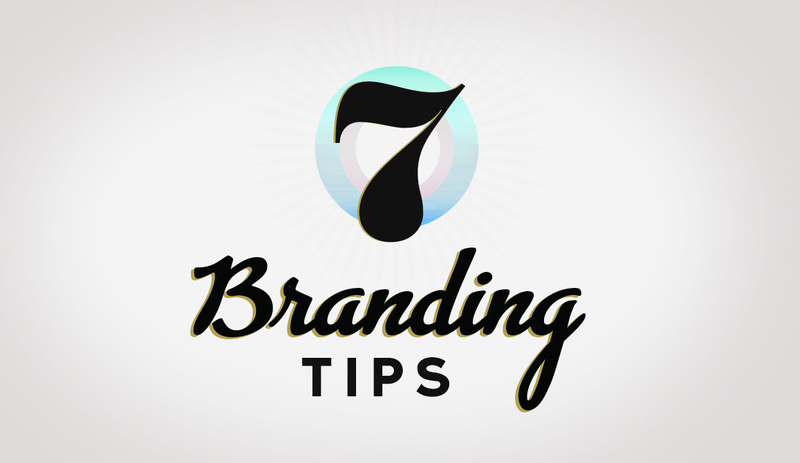 A brand is the experience a person has with your product, service, or organization. It includes your messaging, voice, positioning, marketing, visual representation, and most importantly, the overall perception of your offerings as a whole. When a person thinks of your brand, they think of a sum total of experiences. Examples include: a friendly encounter with a customer service representative… a dynamic website… a memorable commercial. When I was about two years old, I shocked my mom as we drove past those golden arches and I shouted “Donald’s!” from my car seat. It wasn’t the logo I was excited about — it was my experience of McDonald’s. Maybe it was my recollection of Ronald McDonald in those kitschy 80’s commercials, my memory of playing on the Hamburglar playscape, or the sheer joy of eating those tasty golden fries as a treat after the doctor’s office. Whatever that logo was calling up in my memory, it was important enough to become one of 50 words I knew at the time. That is an effective brand. A logo is simply a symbol and/or typographic mark that represents your brand. Is it important? Absolutely. Is it the end-all be-all? Definitely not. Although a great logo is important, it is only one part of a bigger picture. Think about your website, for example: font treatments, typography, color palettes, photos, and videos all play an important role in the overall branding strategy. A visitor should be able to cover up your logo with one hand and still have a clear visual sense of who you are. The moral of the story: Don’t put too much weight on a logo. Your logo is only one piece of a larger puzzle. People often get stuck on the idea that a logo should incorporate a literal interpretation of what they do. If your company builds tiny homes, your first thought might be to include a silhouette of a house in the logo. That is one possible solution, but keep this in mind: Your logo doesn’t have to say it all. There are other elements that come into play to tell the rest of the story. Instead of a logo with a tiny house in it, maybe it’s a cool type treatment that conveys a sleek and modern feel. Then the logo sits on top of a photo of a newly-built tiny home in the Texas Hill Country. The elements of the logo and the photo work synergistically to conjure up an overall impression for the potential buyer. Establishing a logo and brand can be an emotional experience. Almost all of our clients are deeply invested in the success of their organization. It’s personal, and we get that. It can be easy to get swept up in a whirlwind of feedback and ideas from others, and sometimes it’s hard to decipher which direction is best. When this happens, it’s important to take a step back and remember that you hired a professional design agency for a reason. Don’t try to absorb too many opinions. Trust in your designers and have faith they won’t steer you wrong. Once your visual branding is complete, it’s time to set clear guidelines with the folks who will be implementing your overall strategy. Employees often take liberties with logos, designs, and color palettes. It’s essential that anyone who is going to create collateral or perform website updates has a firm grasp of your brand. Most design agencies will provide you with a Style Guide at the end of the process, and it’s important to stick to it. Consistency is key to brand recognition and a professional appearance. Leave any brand changes, additions or evolutions to the pros. Still have questions? Want to bounce around ideas? Contact us! We’d love to hear from you.